According to the National Center for Complementary and Integrative Health (NCCIH), approximately 9.5 percent of United States adults (21 million) used yoga in 2012. This is an increase from 6.1 percent in 2007, proving that this mind and body practice continues to grow in popularity. Now, consider this statistic: there are more than 33 million fantasy football players in the United States alone. Just like yoga, the number of players is on the rise. While many people don’t associate yoga with fantasy football, others have come to realize that the two go together quite nicely. 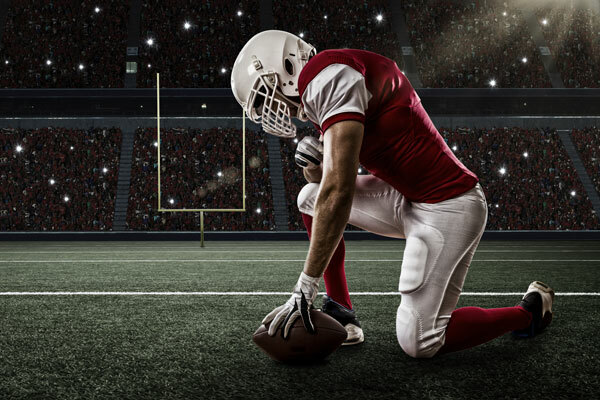 Despite the fact that fantasy sports are supposed to be enjoyable, many players are bogged down by the stress and pressure associated with playing. They are putting money on the line. Furthermore, they have the opportunity to win loads of cash if they come out on top. Could Yoga Help to improve at Fantasy Football? Just the same as your favorite NFL players, you must find ways to rest your mind, body, and soul when you are not competing. Yoga is one of the best ways of doing so. Are you stressed out over an upcoming contest? How about the fact that you lost a lot of money on a last second field goal? No matter what is causing your stress, yoga can help melt it away. If you want to achieve success as a fantasy football player, it is imperative to have a clear mind when researching players and making key decisions. If you are distracted, if you neglect to focus on the details at hand, you could find yourself making choices that hinder your ability to win. 3. Distraction from your fantasy football obsession. Let’s face it: some fantasy football players have an obsession that can border on unhealthy. While you may enjoy putting a lot of time, money, and resources into this, there may come a time when you need a distraction in order to feel better in an overall sense. Yoga is the perfect place to start. “In a 2011 study, also funded by NCCIH, researchers compared yoga with conventional stretching exercises or a self-care book in 228 adults with chronic low-back pain. The results showed that both yoga and stretching were more effective than a self-care book for improving function and reducing symptoms due to chronic low-back pain.” NFL players don’t perform at their peak when their mental or physical health suffers. You are the same way. If you want to succeed, if you want to overcome the competition, make sure you are as healthy as possible. While NFL players beat the competition with their physical and mental skills, you will stick with your brainpower to come out a winner. Yoga improves brain function, which will allow you to make better decisions. This can have a direct result on your ability to perform at your peak at all times. Do you have the stamina needed to put hour after hour into your fantasy football research? Do you have the energy to stay up late nights, watching games, tracking the competition, and deciding which decisions to make next? If you want to boost your energy, give yoga a try. This may give you the “shot in the arm” you have been looking for. This may sound funny, but it is important as a fantasy football player. There will be times when you get so excited that you may forget to breathe. The same holds true when you are down in the dumps. Yoga will improve your respiration, allowing you to get the air you need to feel good. 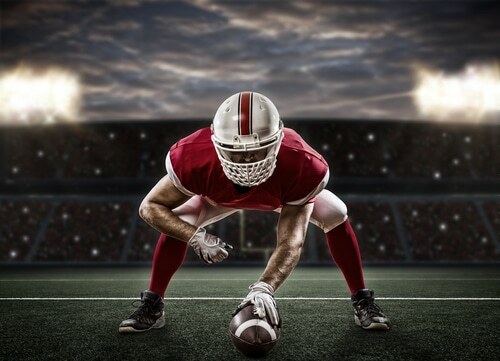 There are millions of fantasy football players, many of which you will compete against on a regular basis. Practicing yoga may give you the advantage you need to come out on top more often.